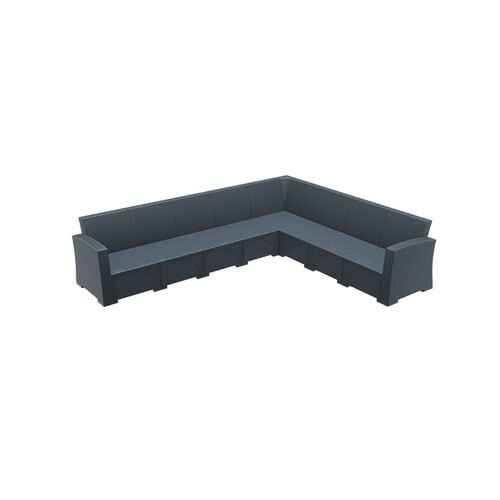 2-seater sofa made of polypropylene. 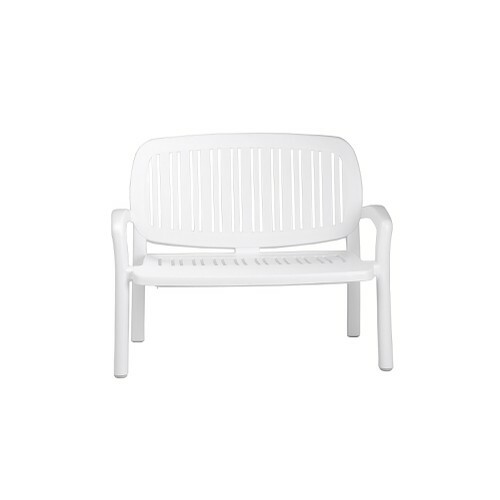 Plastic 2 seater white sofa. 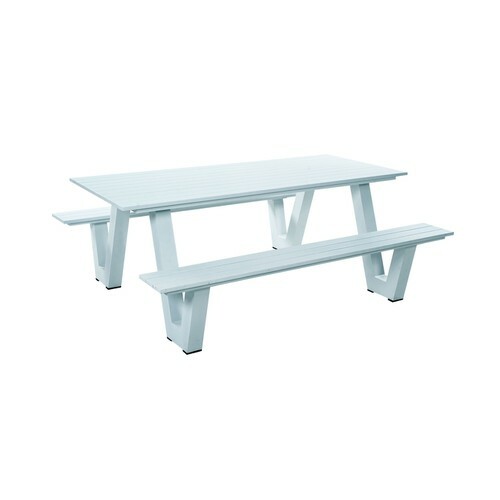 Aluminum bench-table in white color. 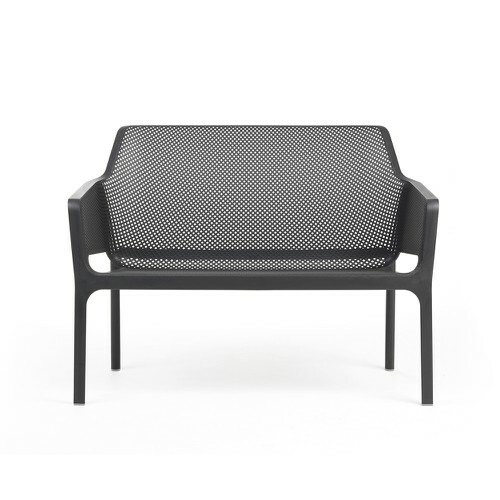 Sofa made of durable weather-resistant resin reinforced with fiber glass. 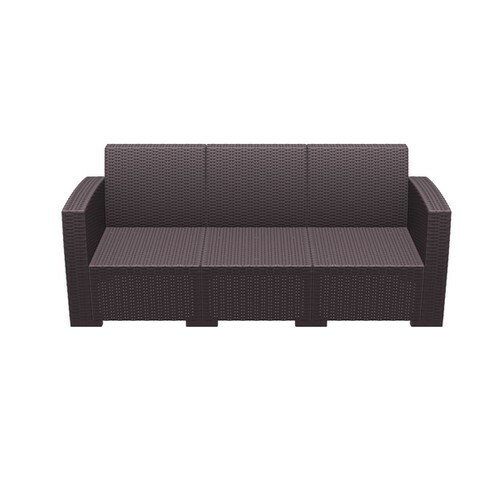 Triple sofa made of durable weather-resistant resin reinforced with fiber glass. 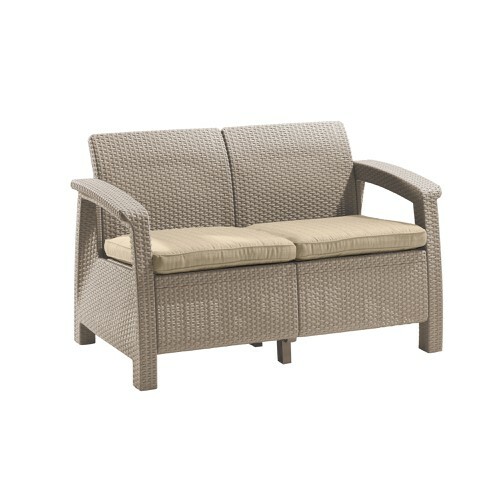 In rattan design. 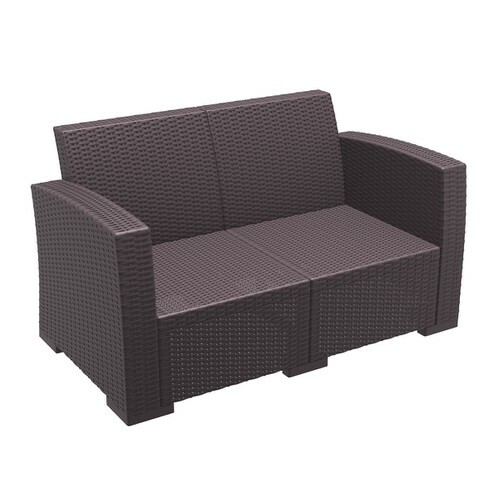 Corner sofa made of durable weather-resistant resin reinforced with glass fiber. 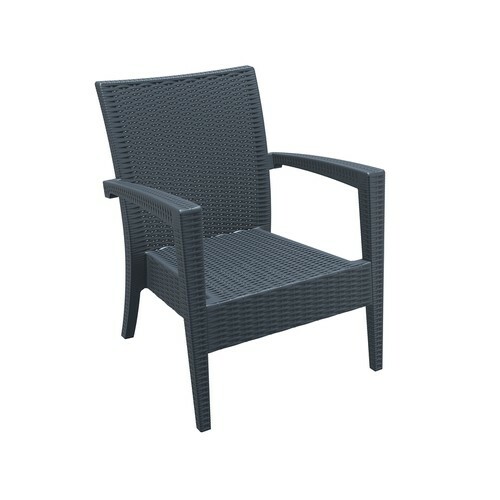 In rattan design. 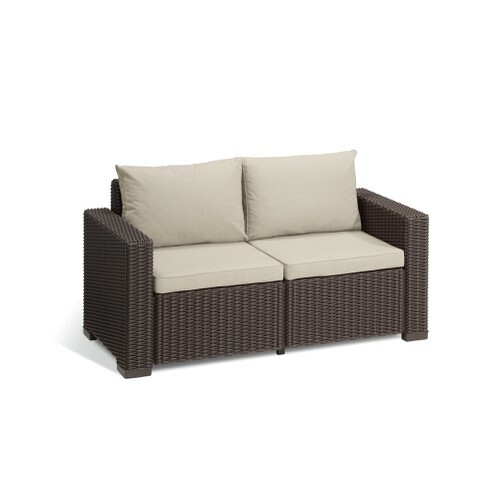 Miami Lounge Sofa, made of polypropelyne in rattan design. In dark grey, white and brown color. 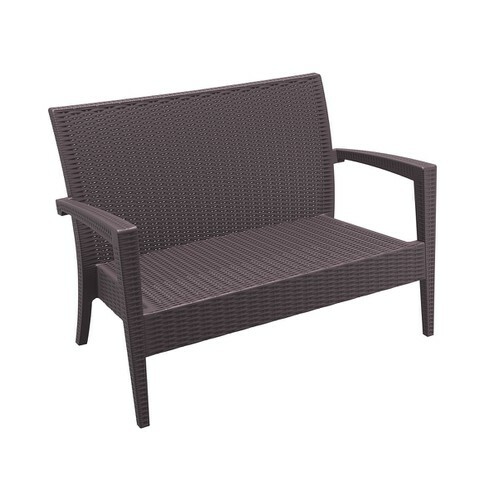 Miami Lounge Chair, made of polypropelyne in rattan design. In dark grey, white and brown color.